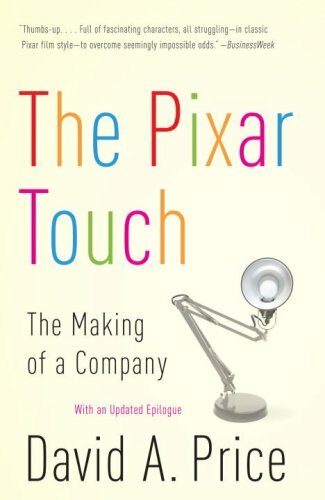 The Pixar Touch is a lively chronicle of Pixar Animation Studios' history and evolution, and the “fraternity of geeks” who shaped it. With the help of animating genius John Lasseter and visionary businessman Steve Jobs, Pixar has become the gold standard of animated filmmaking, beginning with a short special effects shot made at Lucasfilm in 1982 all the way up through the landmark films Toy Story, Finding Nemo, Wall-E, and others. David A. Price goes behind the scenes of the corporate feuds between Lasseter and his former champion, Jeffrey Katzenberg, as well as between Jobs and Michael Eisner. And finally he explores Pixar's complex relationship with the Walt Disney Company as it transformed itself into the $7.4 billion jewel in the Disney crown.